Identifying Your Wet Basement Problem -- And How We Can Solve It For You! If you have a wet basement, we're the contractors you're looking for. Each Basement Systems Dealer provides a full staff of certified professionals that have exclusive access to more than 30 products designed to transform your basement into dry, usable space. We're here to help you! Whether you live in Canada, the United States, or the United Kingdom, there is a locally owned and operated Basement Systems contractor in your area. Each of our experts offers free, no-obligation basement inspections and written quotes to homeowners within their service area. To schedule your appointment, call or e-mail us today! 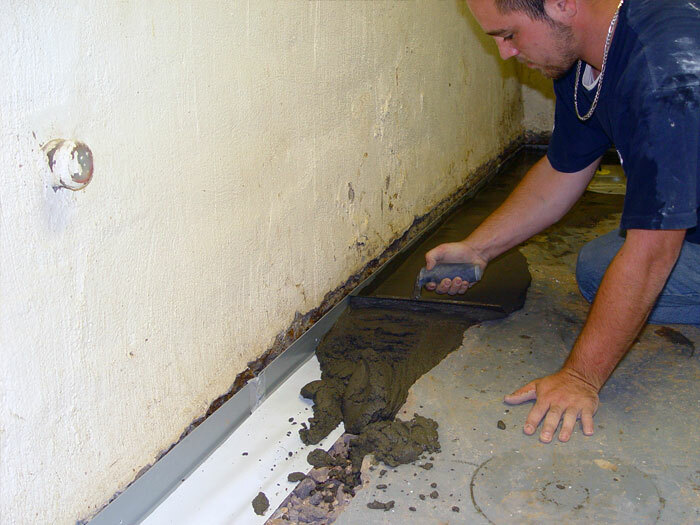 We provide drainage systems that are designed to tackle basement flooding issues of all kinds. 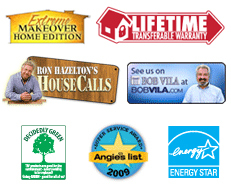 Our systems include a lifetime transferable warranty. You'll also love our award-winning sump pump systems! We can usually install a full drainage and sump pump system in one, perhaps two days. 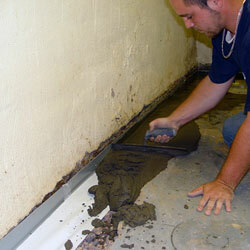 Whether your basement walls are damp, ugly, or have leaking cracks, we have a solution that will work for you! 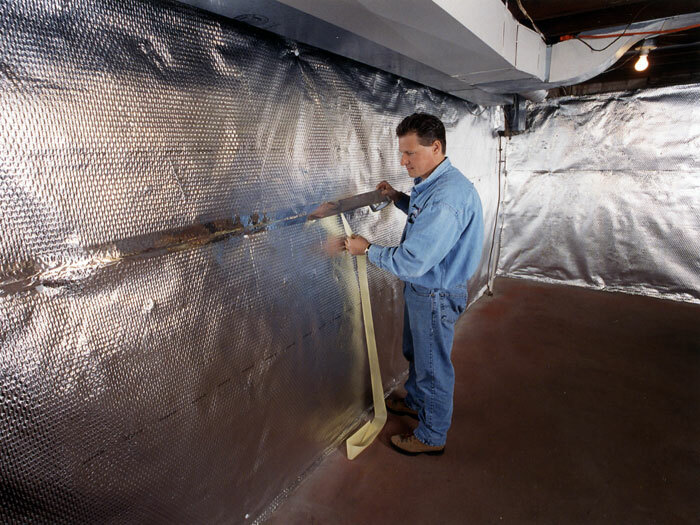 We have a wide variety of basement wall products that can hold back water and humidity, insulate the walls, improve the appearance, and even get your basement ready for finishing! Each of our wall systems is fully compatible with our drainage systems, and can be tied into it to direct water from the waters into your perimeter drain. Concrete slab floors are cold, ugly, and their porous design provides a source for basement humidity. 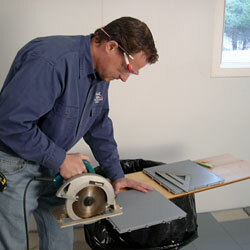 However, traditional flooring choices such as carpet, wood, and tile are poor options for covering the basement floor. We have nine different options for basement flooring -- each offering its own unique advantages for your home. Design options include carpeted, parquet, and stone-design tiles as well as faux-wood flooring and our plastic basement subfloor tiles. It costs nothing to schedule one of our certified basement waterproofing experts to visit your home and provide a written cost quote! We'll even send a complimentary copy of our full-color waterproofing book! 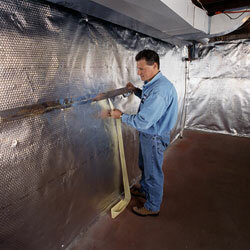 Your dealer has exclusive access to the full line of Basement Systems' waterproofing products within their service area. Our warrantied, award-winning solutions have been installed in tens of thousands of homes to fix and upgrade wet basements since 1987. Whether you want to reclaim your wet basement as usable storage space, or you're thinking of finishing your basement into more living space, you'll love what our products can do for you! We Have The Basement Services You're Looking For! 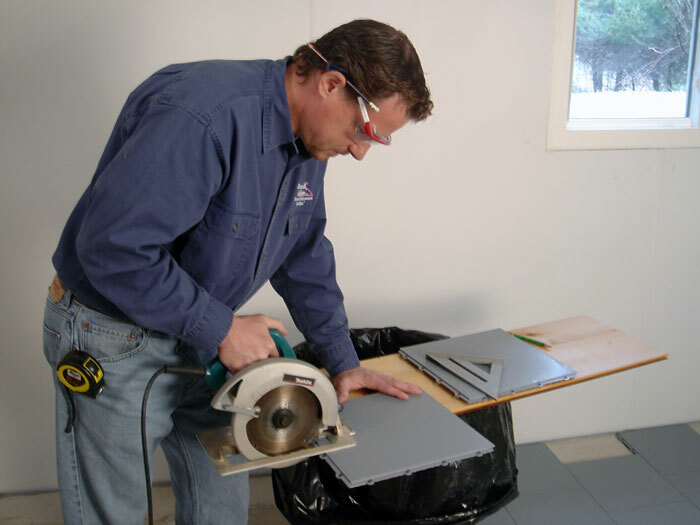 Your local Basement Systems Dealer has the skills, training, and innovative solutions you need to create a drier, healthier, more energy efficient basement -- no matter what kind of problem you have! Whether your walls are leaking, you have a mold issue, or you'd just like the space to look nicer, we're there for you. 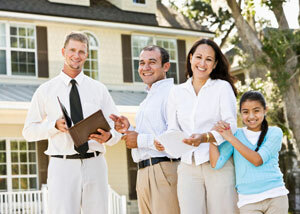 Each Basement Systems Dealer provides homeowners in their service area with a free, no-obligation basement quotes. When you need us, we're just a phone call or e-mail away!